Warm greetings from Grab Malaysia. By now, you would have heard the news about our merger with Uber. Today, I would like to personally share with you some of my strongest beliefs, to reaffirm our commitment as a team to our community, as well as to offer a glimpse of what the future holds. First of all, as a fellow Malaysian, I believe that this development is a major milestone for all of us, and not just from my perspective as the Country Head of Grab Malaysia. After all, Grab is a homegrown start-up which started life in Malaysia just under six years ago. Who would have thought that we would be where we are today? 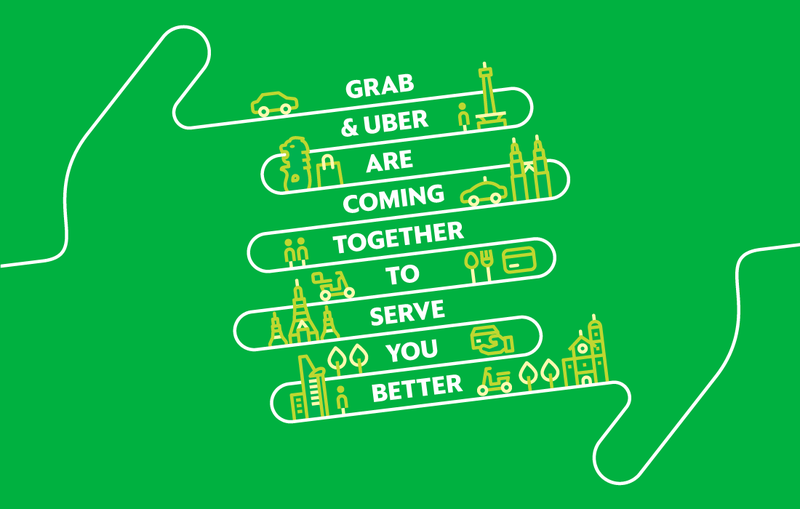 We are now on track towards our goal of becoming the #1 ride-hailing, fintech and food delivery platform in Southeast Asia, an achievement for all our Grabbers and driver-partners who have been outserving their passengers all across our eight countries and 195 cities in the region. Our partnership with Uber will only fuel our drive and passion to serve our community better. We have always believed – and still believe – that we need to keep outdoing ourselves at every stage in order to earn the right to serve them. If anything, this union strongly affirms that our commitment to put the needs of our customers and driver-partners first is the right one. We expect this combination to drive a better experience for our community of drivers and passengers. With a greater concentration of jobs and available drivers, we expect to see shorter wait-times and faster pick-ups. This would mean better productivity for our drivers, and better reliability for our passengers. New Uber users will be able to benefit from our unique features such as ‘GrabRewards’ for our passengers and ‘Better365’ and ‘GrabAllStars’ for our driver-partners. GrabRewards makes our users’ experience and journey with us more rewarding. Meanwhile, our Better365 and GrabAllStars programmes enable our driver-partners to enjoy better benefits, support and opportunities to engage with their community of fellow drivers through our ‘Teh Tarik Sessions’ and ‘Driver Town Halls’. We are so excited to be given this opportunity to serve you all! Looking forward, we will be pushing towards our next stage of growth: to serve our fellow Malaysians in all their most important daily needs, whether to ride, pay, nourish or earn more for their families. Today, we are already serving more than 90 million users in Southeast Asians and empowering more than five million micro-entrepreneurs – driver-partners, merchants and agents – across the region to earn more. Now, we will also rapidly expand our GrabFood platform to provide more jobs for delivery couriers and restaurants, and to serve our community in more ways. Finally, thank you for giving us your continuous faith and support. Thank you for constantly pushing us to do better. And thank you for allowing us to keep serving you.